On the Cook Mountain summit we found the old summit register which we have signed many times before. 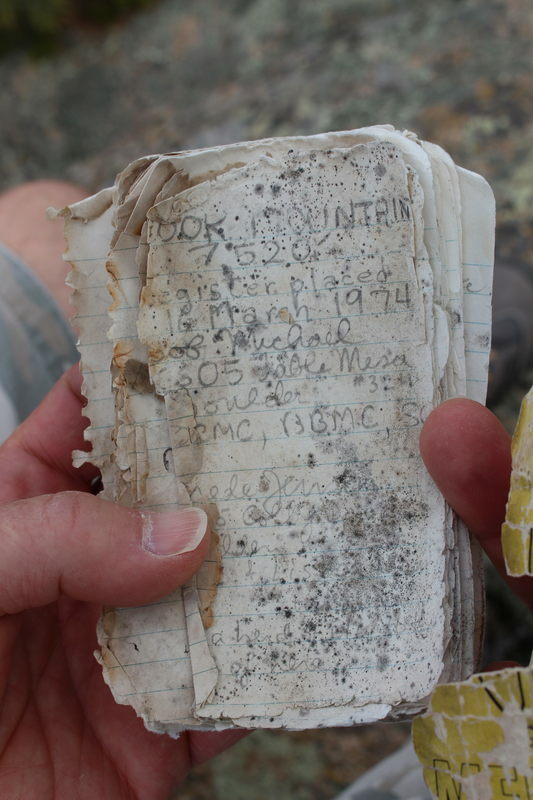 It's the oldest summit register still in use that we've ever seen, placed there on March 16, 1974. As you can see, it's in bad shape, but there are still blank pages for more signers. Elevation gain from parking place to summit was about 1600 feet. 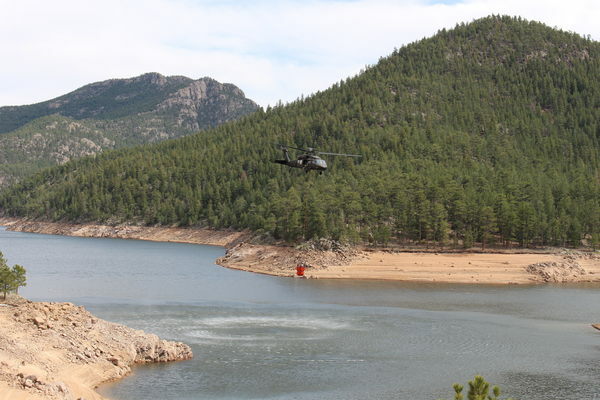 The ascent of Cook Mountain was from the south side, and the descent was the north side, then followed dirt road back to the reservoir. Distance traveled was about 10 miles.